The inevitable FatBurger review. The American franchise has crossed the Atlantic and landed safely in the heart of Camden. Such a celebrity arrival naturally does not come without a barrage of social media frenzy from startstruck fans, and since I had never before eaten a “FatBurger”, (or at least Fatburger’s fat burger), I was eager to see what all the Instanoise was about. 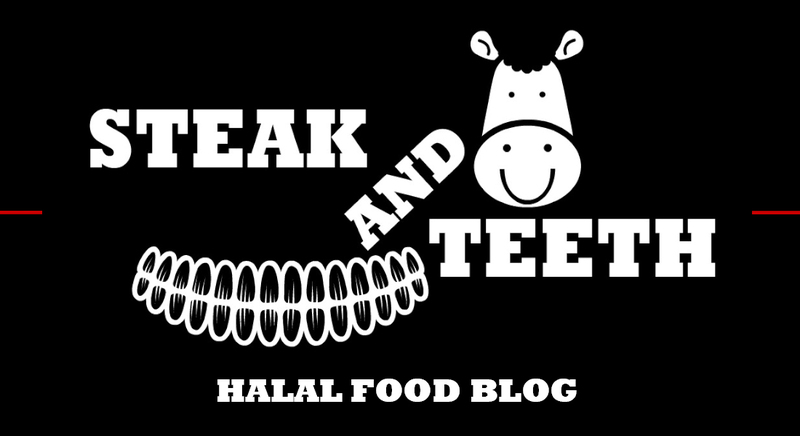 All the meat here is halal. 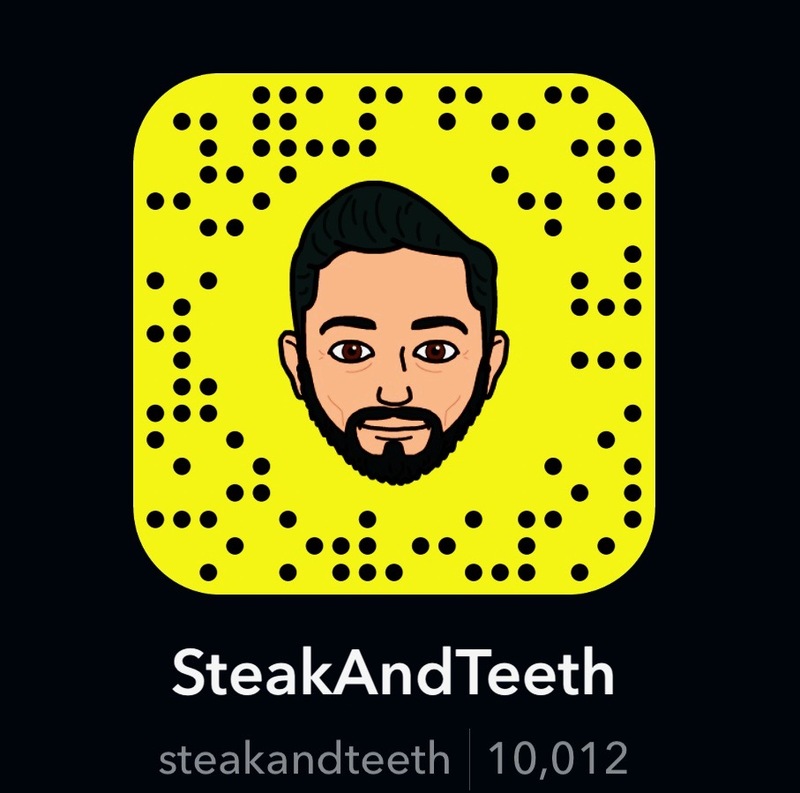 I visited FatBurger last week with Napoleon, Gandhi and the Terminator. 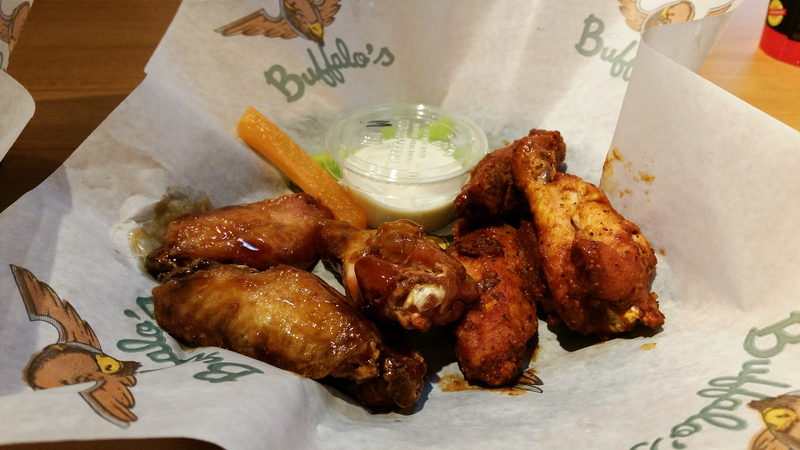 Our order included a regular platter of wings (16 in total), consisting of a mix and match assortment of four different flavourings. I also ordered a triple fatburger (because it was the biggest thing I could see), and an Oreo milkshake. The wings, which were generally quite small in stature and of an average quality (as expected of course), presented a variety of different textures, based on the flavouring/marinade they were coated in. 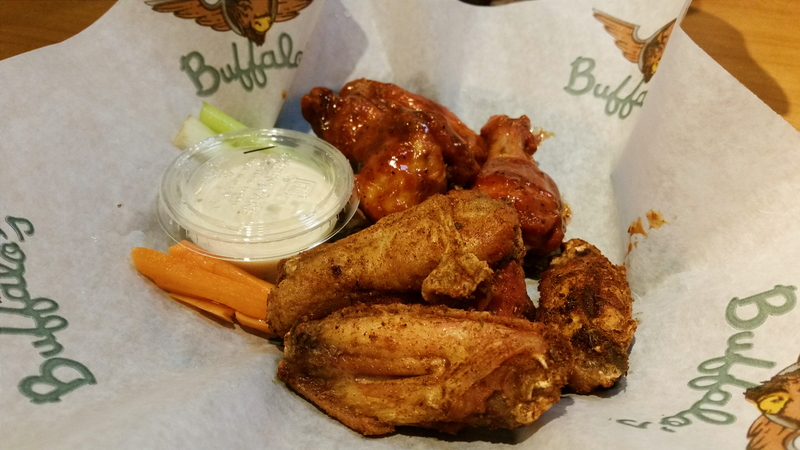 The cajun dry rub was, remarkably, a dry rub of cajun flavouring, which was mildly spicy in nature, and gave the wings a crumbly, crispy texture. We also ordered a set of “Death Valley” wings, (the spiciest flavouring on offer), which I was hoping would knock the other three into anaphylaxis and leave all their other food in my hands. Sadly it was about as fiery as a bar of soap, and that’s coming from someone who needs to defibrillate their tongue if it so much as shares the same air as some form of chilli. I do exaggerate however, and there is a mild spice that swells as it settles into your tastebuds. The teriyaki chicken meanwhile, had a moist surface and a pleasant, sweet coating, whilst the barbecue wings were smokey in nature with a mild sweetness. Next to arrive were the Oreo milkshakes. Topped off with whipped cream which blended into the milkshake well, they were very thick, with a very strong, sharp sweetness. There was probably enough sugar in that shake to get me struck off the dental register. Our burgers arrived promptly afterwards. The patties within the triple fatburger were of an average quality by gourmet standards, but far above average by fast food standards. They retained moisture, were fairly flavoursome, and possessed a fair amount of seasoning, although they weren’t particularly soft. Most of the flavour within the burger was delivered by the sharp pickle and the strong american cheese which melted and meshed in with the meat. The brioche bun however, though very soft, was of a very low quality, even for fast food standards, with a very processed feel and a very rubbery texture. If Camden canal ever flooded, you could probably use these buns to float to safety. Or if you’re as globular as I am, you could just eat more food and hit the water belly-first. More disappointing than the brioche bun was the beef bacon I had ordered as an extra. They were of an extremely low quality, overcooked, and as hard and brittle as crushed glass. Each piece crumbled into sharp, hard fragments, which was extremely unpleasant. That said, the Terminator stated that his bacon was chewy and far softer than mine, so it might have been a one off mistake. Despite these flaws, the burger as a whole came together well by fast food standards, mainly owing to a plentiful amount of sauce and cheese. The fries meanwhile, whether fat or skinny, were generally of a very low, processed quality. Generally speaking, the quality of the food is quite low, which as I’ve already said, is what you’d expect from a fast food franchise. The main bone I have to pick with Fatburger, (which thankfully isn’t one embedded in their patties), is the pricing. A regular platter of 16 wings costs around £14, single patty burgers cost £6/£10 for a meal, doubles cost £8.50/£12.50, and triples cost £11/£15, excluding any extras, (i.e any cheese, or beef bacon) which cost £1 each. Drinks are around £3 whilst milkshakes are around £4. Whilst the quality doesn’t bother me too much, (mainly because my expectations for fast food are set at “cardboard”, and anything better is a bonus), it’s the prices that do. FatBurger is essentially a fast food franchise that charges gourmet prices, and that just doesn’t feel right. Sure, it’s the brand value – “FatBurger” – but I’m someone who seeks quality over branding, in everything I purchase. You won’t see me forking out £200 for a plain designer T-shirt when I can buy a nicer unbranded T-shirt of a higher quality for a fraction of the price. The same principle applies here. Aside from “branding”, I don’t see how I could justify revisiting FatBurger and paying £X for a fast food burger meal, when £X could also get me a much higher quality gourmet burger meal elsewhere. Whilst I’m sure there’s plenty of people who love FatBurger enough to fork out the money again and again, in my head, it would make no sense when there are better burgers out there. Staff here are welcoming and patient, and are very interactive and friendly (though they could just be gritting their teeth for the first few opening months). Service is also quite fast, and the fast service should serve you your fast food within 10 minutes. FatBurger has a clean, modern fastfood restaurant layout, and hosts a number of comfortable booths, chairs and stools. The booths are quite tight however, and you might find yourself accidentally shaking feet with your dining companions. You’ll also find yourself surrounded by a number of cheesy, American-themed decorative pieces. FatBurger itself is a brief ten-minute walk from Camden Road station, and a five-minute walk from Camden Town station. Parking spots in the surrounding area exist, but may be difficult to come across. 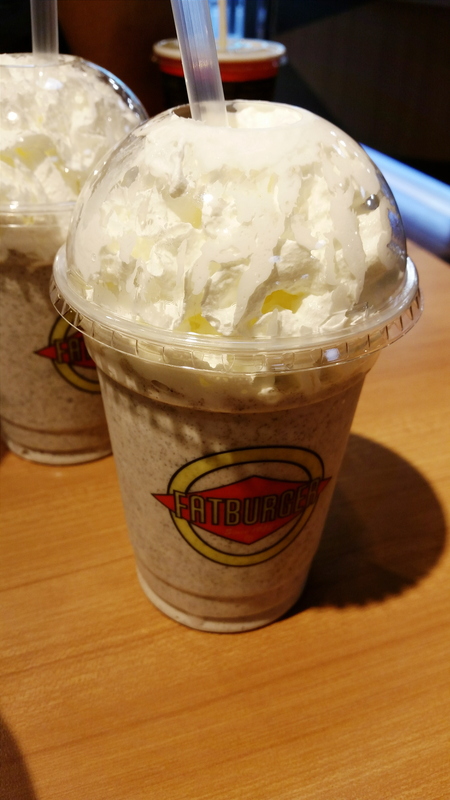 It’s easy to kick back and relax in Fatburger, which has a busy environment even when the restaurant is empty. You’ll have no trouble at all enjoying your own private space with your dining companions, especially if you manage to grab a booth, though of course, as it can get quite busy, you can’t afford to hang around for too long. Unless you enjoy taking up seats amongst the glare of hungry patrons as they mentally bludgeon you to death with rubber dinghy brioche buns. 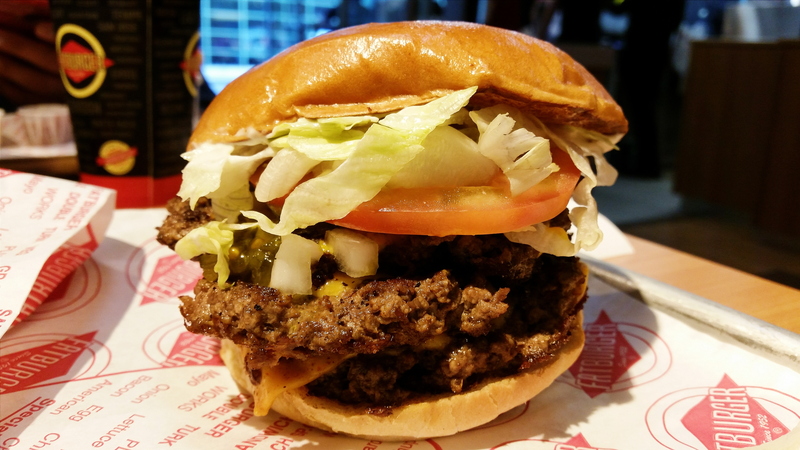 Whilst FatBurger performs better and offers a higher quality of food than most fast food vendors, it’s burgers don’t do quite enough to captivate one’s affections. At least not mine. FatBurger treads too close to the gourmet price range for non-gourmet-quality burgers, and aside from the “brand value”, there’s no excitement nor unique features to single out the FatBurger amongst the already saturated halal burger scene in London. Whilst it’s worth a visit to tick the boxes and clear the curiosity, I couldn’t justify any reason to visit FatBurger a second time. An admirable effort for fast-food standards, but not enough to win over a pompous old man like myself.